Lunar Gala is a student organized and managed fashion show on Carnegie Mellon’s campus. As one of three Executive Producers for the show, I oversaw and managed our 6 teams, 50 board members, and over 300 participants. Teams include Modeling, Fashion Design, Creative, Public Relations, Production, and Dance. Our show was attended and supported by over 3,000 people including alumni, faculty, parents, local businesses, designers, journalists, photographers, and more. Please check out our FEROX site, blog, and more by browsing lunargala.org! LG Producers Grace Kao, Jarret Lin, and Gillan Johnson giving thank you speeches and shoutouts to our sponsors and alumni. 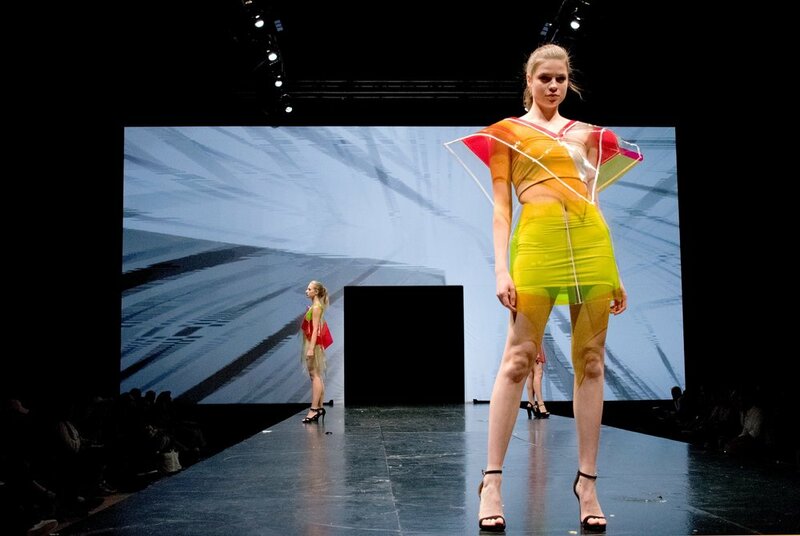 FEROX featured 17 CMU student design groups, 2 local Pittsburgh designers, and 4 dance groups. 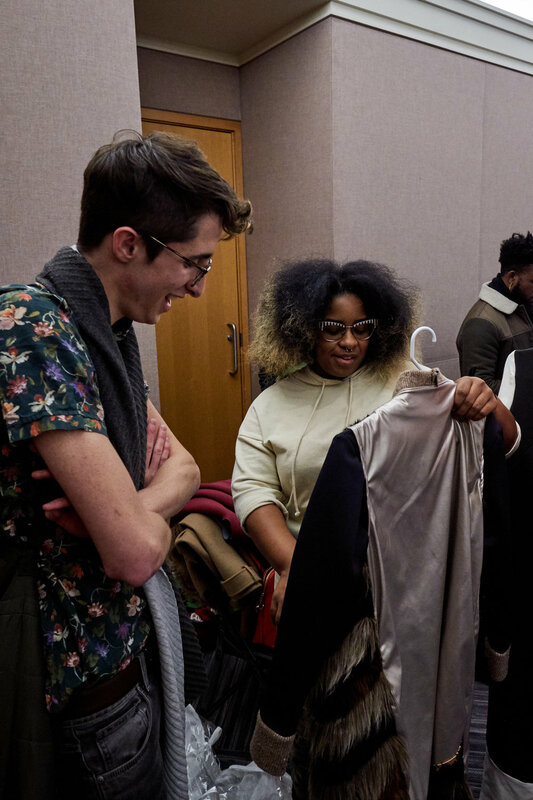 The show was reviewed in CMU's The Tartan newspaper and many of our designers were praised for their work in local press, including in Made in Pittsburgh. Designed by Michael Powell and Selena Zhen. Photograph by Christie Chong. Photograph by Monica Godfrey Photography. Choreographed by Sarah Deluty and company. Photograph by Brian Tao. Designed by Nana Cheon. Photograph by Christie Chong. Designed by Briana Green (Fro Factory). Photograph by Brian Tao. Designed by Jules Przybylzka. Photograph by Christie Chong. Designed by Gunn Chaiyapatranun, Kornrat Euchukanonchai, Shariwa Sharada. Photograph by Monica Godfrey Photography. Designed by Zain Islam-Hashmi, Brandon Darreff, and Alina Kramkova. Photograph by Brian Tao. Choreographed by Daniel See and Serris Lew. Photograph by Brian Tao. Designed by Jules Pryzbylzka. Photograph by Brian Tao. Designed by Lily Fulop. Photograph by Monica Godfrey Photography. The Producers worked closely with our Experience Team, headed by Design student Deborah Lee. Together we set the flow of traffic for 3,000+ visitors, established the VIP experience, organized and managed ticket sales and collection, and much more. We also worked with volunteer fashion students from West Virginia University, who helped tremendously backstage. Photograph by LG Creative Team. Sponsored in part by Redbull. Photograph by Brian Tao. This year we focused on fostering collaboration between the different teams within LG. We led meetings that brought mainly our Production, Creative, and Entertainment (Dance) teams together to create a unified brand and vision for FEROX that would translate into a memorable physical experience for visitors. We worked closely with Faith Kaufman, Head of our Creative Team, to make sure that every part of the LG experience (from our magazines to our merchandise) had a unified theme and voice. Faith led weekly and bi-weekly meetings with her team of 20, which we attended to keep up with the direction of Brand, Motion, Print, Web, and Experience. Photograph and content created by the LG Creative Team. Photograph taken by the LG PR Team. This video was created by the Lunar Gala 2018 Motion Team. Walkthrough of FEROX magazine and content was created by the Lunar Gala 2018 Creative Team. Walkthrough of Lunar Gala website was created by the Lunar Gala 2018 Creative Team. Our designers were able to share their sketches, concepts, and works in progress with the consultants, and some have kept up conversations with them post-LG. This year we partnered with Pittsburgh fashion blog Style 412. Along with the Carnegie Museum of Art, Style 412 and others, we focused on bringing LG into the local Pittsburgh fashion community and beyond. With Style 412's Elysia Newman and Sara Longo, we were able to organize design consultations with notable members of the Pittsburgh fashion community. Consultants included Kelly Gualtieri, John Gurman, James Houk, Oona Natesan, Jen Rocket, and Brittney Thieroff. Photograph taken by Rose Colored Creative. Technology demo with local designer. Line designed by Kazumi Kanagawa and Amber Lee; technology developed by Ty Van de Zande. Photograph taken by Rose Colored Creative. designers hoping to display their work on a larger scale. We also conducted the interviews and portfolio reviews before selecting Briana and Krista. Designer of line '2268' Hamza Qureshi came up with the brilliant idea of having a more intimate display of the work produced by this year's designers. In collaboration with Hamza we organized an exhibition in the College of Fine Arts Hall on the CMU campus. Designers displayed and sold several of their pieces, socialized with other designers and attendees of Lunar Gala, and enjoyed a much deserved evening of celebrating their work and accomplishments. With all of Lunar Gala's expenses we looked to sponsors and donors to help with our costs. With our Sponsorship, PR, and Creative teams we pulled together a GoFundMe campaign that raised $2,500 for designers and production costs. This was LG's first crowdsourcing campaign and we were incredibly excited to see so many parents, alumni, and the general public support us. Grace, Jarret, and I called each other every weekend to discuss logistics and get updates from our different team heads. From booking rooms for modeling practices to ideating concepts for the next LG blog to preparing for fall recruitment and auditions, there was no shortage of things to do. We also managed to squeeze in a GoFundMe campaign that raised nearly $3,000 to help support our designers and other production expenses. Who knew reconciling a $15,000 budget with an estimated $35,000 production value could be difficult? Our winter break was filled with designing and ordering merchandise to sell to LG members and at the show, advertising ticket sales, and finding alternatives to the $15,000 projectors we wanted or the $50,000 tiered seating we thought was essential to the FEROX audience experience. We eventually settled on a production budget that would work with our projected ticket prices and sales, with the help of our Production coordinators, Sam Molitoriss and Kenny Cohen. When I was asked to apply for the role of Producer I was incredibly intimidated. With graduation around the corner, senior capstone looming in the near future, and my already agreeing to take on the role of Artistic Director for my dance company, Infra (whom I performed with at Lunar Gala in FEROX), it seemed like a lot. But I was also incredibly excited for this opportunity to work with so many creative and talented people, and develop my project management skills. The beginning of school was a complete whirlwind, with almost every minute of the day scheduled out in my highly categorized iCal. Even with dance rehearsals, auditions and selection processes for models, and portfolio reviews I somehow found time to attend model practices and eventually become a model for LG. Grace, Jarret, and I were juggling nearly 15 different Messenger groups and constantly responding to interest emails, following up with potential sponsors, and so on. It’s here! But it’s not quite here yet. January all the way up to February 17th, our show date, felt like longest chunk of the whole experience. But we finalized our partnership with the Carnegie Museum of Art, held design consultations, released promo videos, sneak peeks, and behind the scenes footage of LG, and even managed to find Jarret a red button down shirt with an hour to spare before we walked the catwalk for the finale. It’s been an incredibly challenging and rewarding experience that I wouldn’t trade for anything. 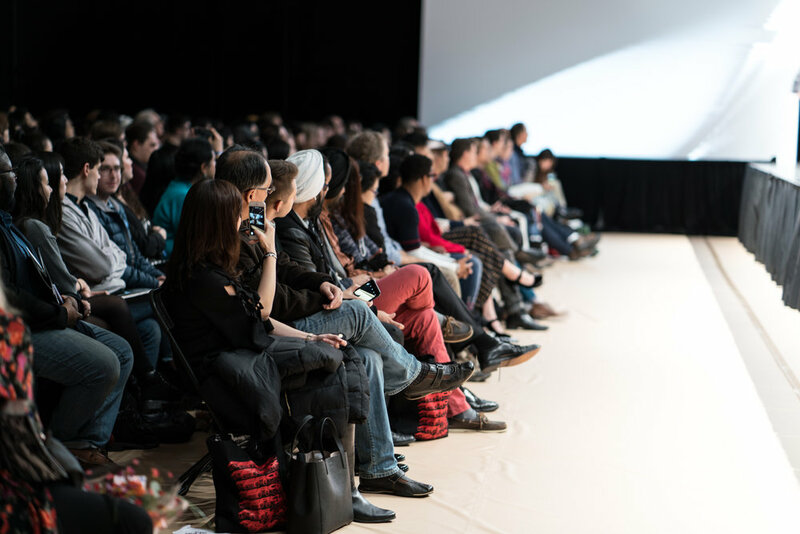 We found three amazing candidates for the Producer roles for 2019 and we held an exhibition several weeks after the show as a way for the public to see the garments up-close and even purchase them to support our incredibly talented designers.